Laylat al-Qadr is a special night for Muslims around the world. It is the night of power when Allah revealed the first verses of the Quran to the Prophet Muhammad pbuh. We do not know the exact date of Laylat al-Qadr, we only know that it is one of the last 10 days of the month of Ramadan and it is an odd numbered night (21st, 23rd, 25th, 27th or 29th). This night is very special because it is said to be worth as much as 1000 months, or 83 years. The angels come down from the heavens and are among us, although we cannot see them. Muslims carry out lots of acts of worship during the last 10 days of Ramadan in the hope of gaining the blessings of the night of power. They pray, read Quran, make dua and do other acts of worship. 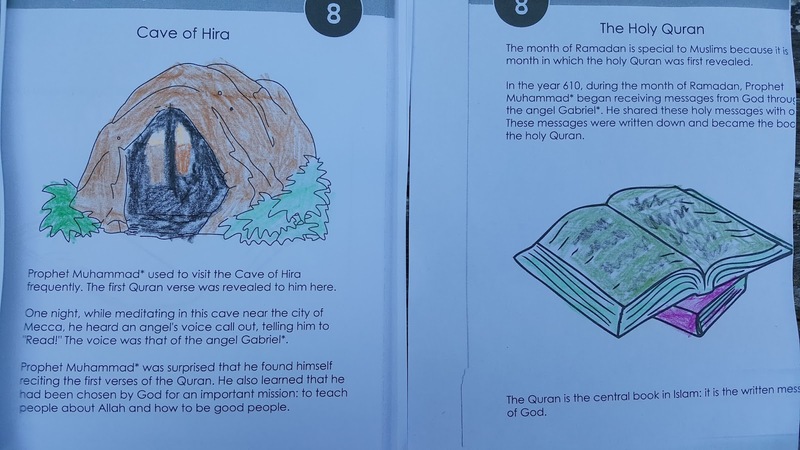 The Quran was first revealed to the Prophet Muhammad while he was in the Cave of Hira in Mecca. He would spend the whole of the month of Ramadan in the cave in solitude, thinking and praying. One night, the Angel Jibreel came to him and said, "Recite!" He explained that he did not know how or what to recite. Again the Angel said to him, "Recite" and he started to recite the first verses of the Quran. 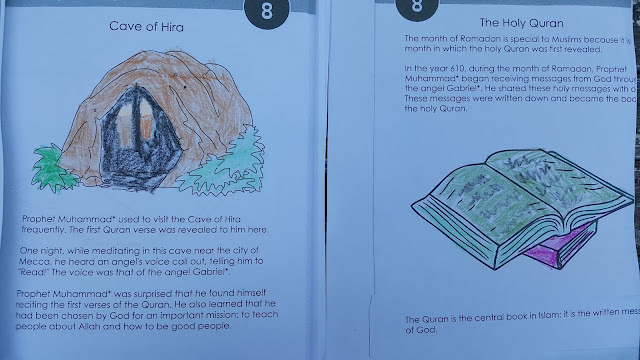 The children coloured in some worksheets about the Quran and the cave of Hira and I told them the story of the first revelation. I got the worksheets from this book of Ramadan activities for children. 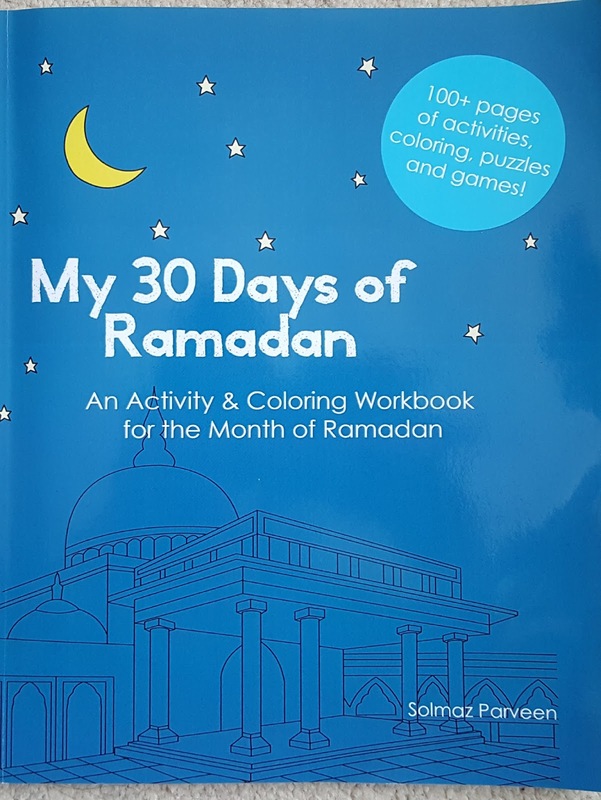 It is an excellent book for young children and we have been using it a lot this Ramadan. 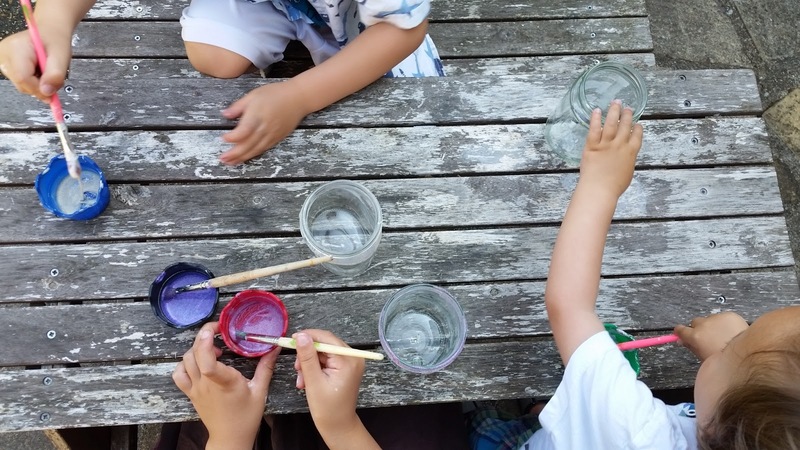 Next, we painted some glass jars to use as candle holders. 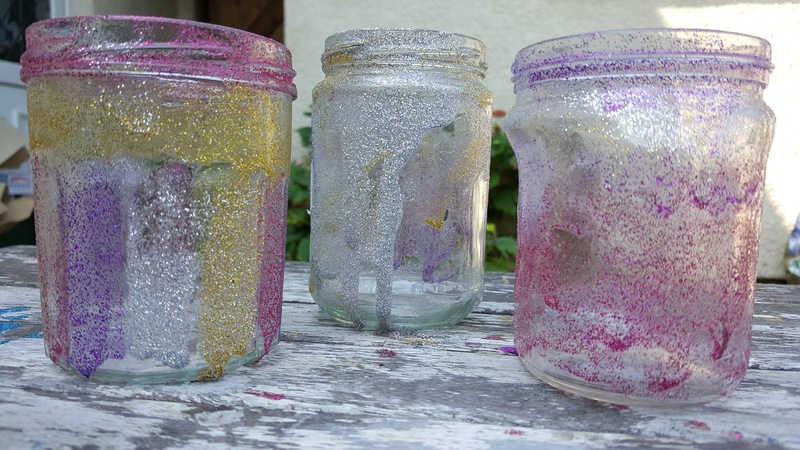 The children decided to use glitter glue to paint their jars. 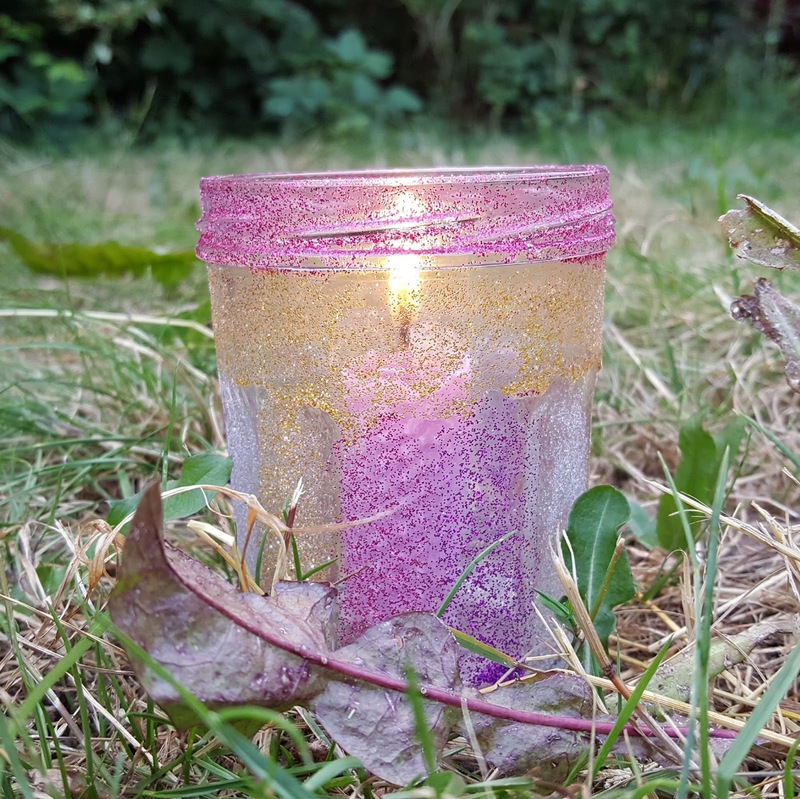 We made the glitter glue ourselves by mixing some glitter with PVA glue. 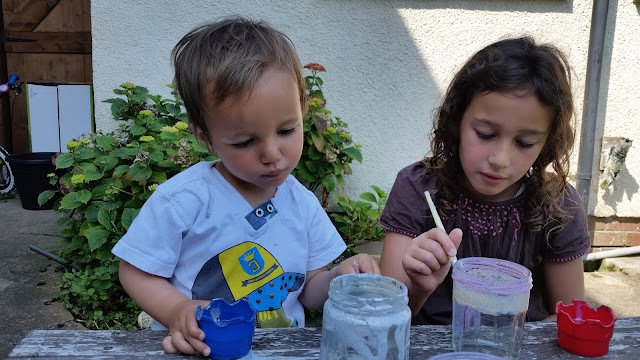 The children each chose a jar and got stuck in with painting. The look of concentration on their faces! The finished jars looked fantastic! 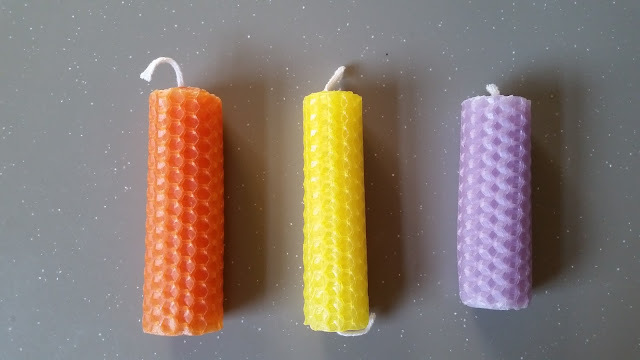 We had these beeswax candles the children had made on a recent workshop on bees. I thought these would be perfect to place in our glass jars. 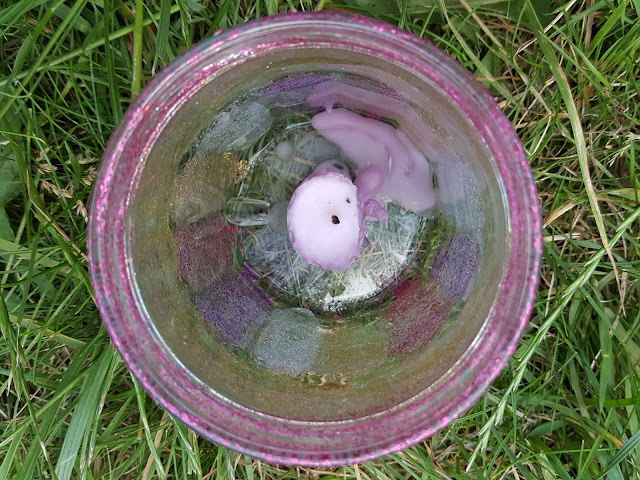 To stick the candles to the base of the jars, we lit the candle and allowed some drops of hot wax to fall to the base of the jars. Then we stuck the candles onto the hot wax. It cooled quickly and secured the candles to the base. 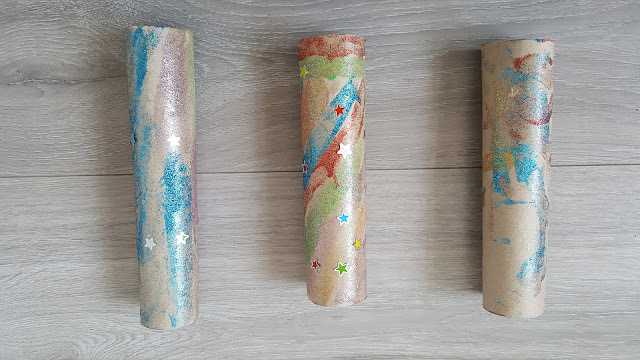 The children asked to do more painting with glitter glue so we then made some telescopes out of cardboard tubes. These are to look out for the Ramadan moon at night. When the glitter glue had dried, the children stuck little star stickers on their telescopes. 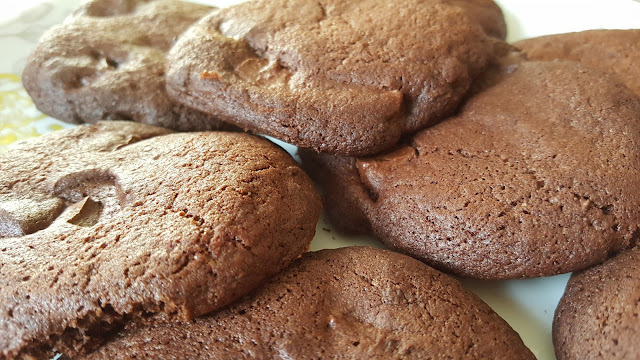 I wanted to make this night really special, one that the children would remember, so we then decided to bake some cookies to eat during our celebrations. 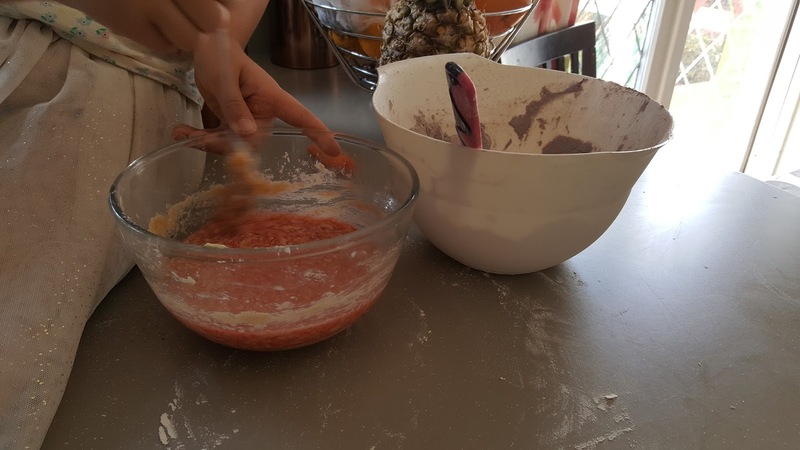 We do a lot of baking and it is something the children and I really enjoy. Here are the finished cookies. Don't they look delicious! After dinner, it was time to set up. 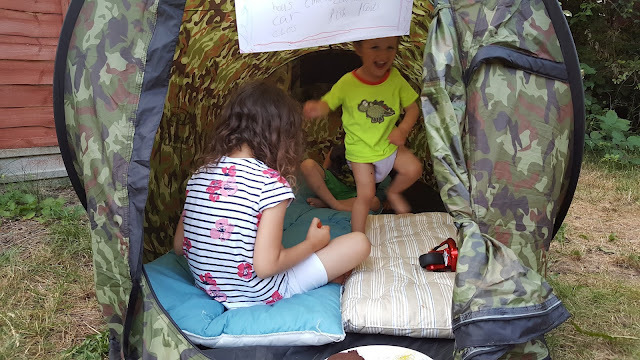 We put up a tent to represent the cave of Hira. We placed some comfy floor cushions inside the tent and our creations outside it. 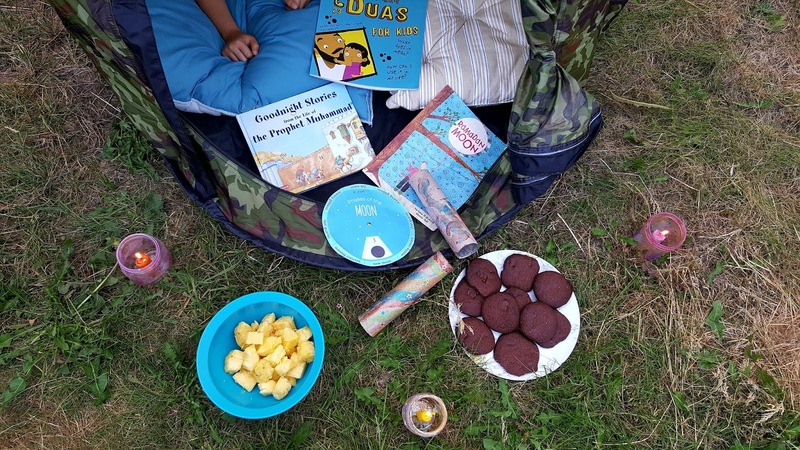 We had the cookies and some pineapple to snack on while we read stories about Ramadan and Laylat al-Qadr. We lit the candles in the jars which created a lovely atmosphere. We read a wonderful book called Ramadan moon which is all about the excitement of waiting and watching for the moon so we know when Ramadan will begin and when Eid day will be. We also had our moon phase dial, which we had made for our Moon project, so we could see which phase the moon was in that night. 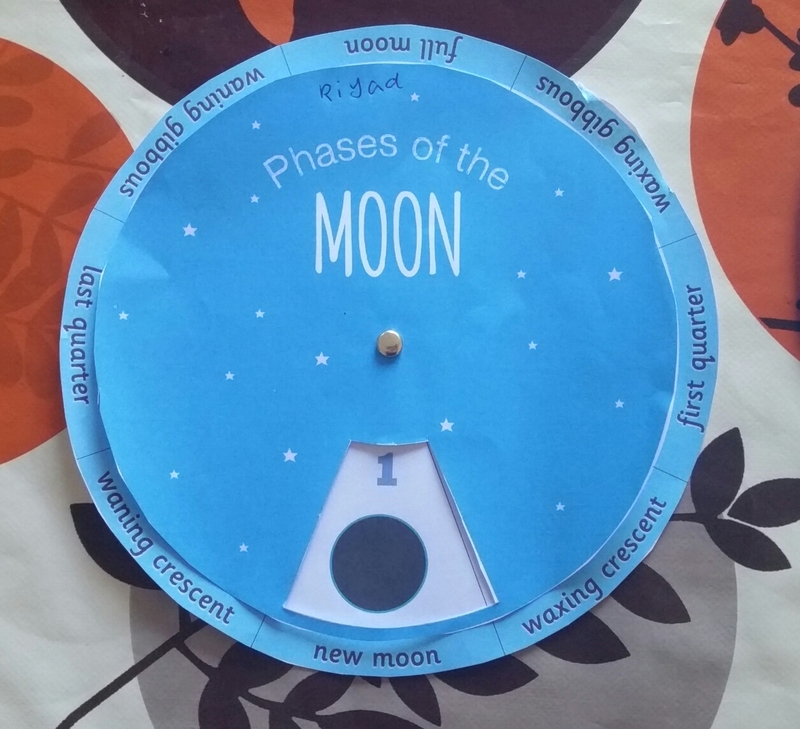 Take a look at this post to see how we learnt about the Moon and its phases. 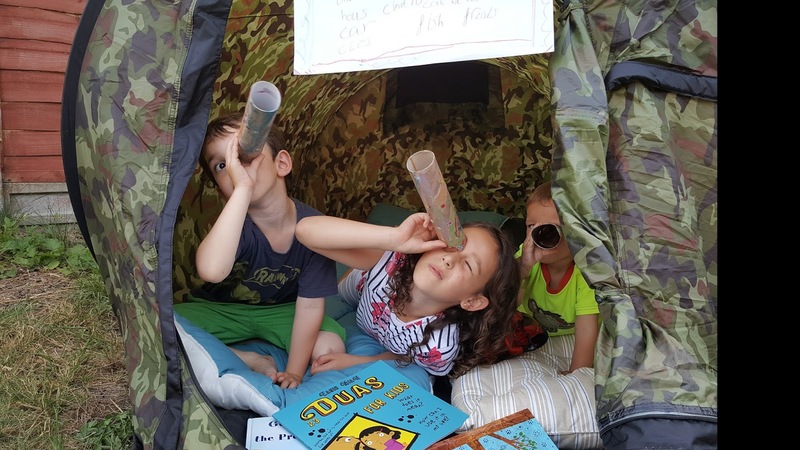 The children looked through their telescopes to see if they could spot the moon. Unfortunately, they didn't spot it that night as it was still too light and they became too tired to stay up until it got dark. 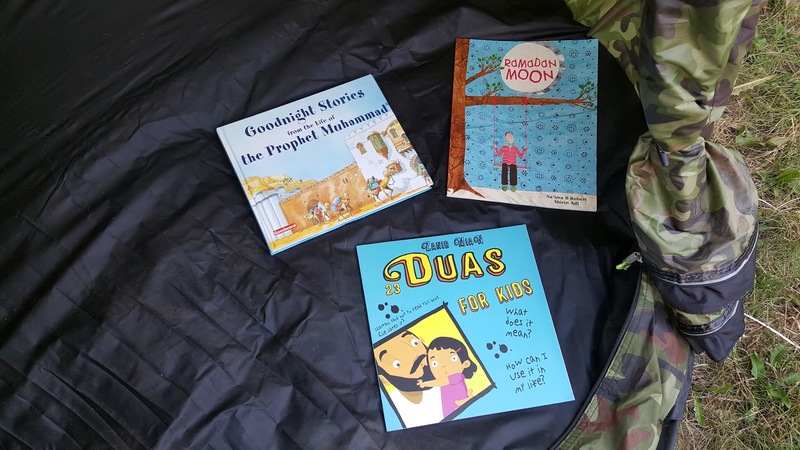 I explained to the children that on Laylat al-Qadr it is important to make dua. We looked at the book, 'Duas for kids' and talked about the dua 'Alhamdulillah' in particular. Alhamdulillah means 'praise be to Allah' and we use it to thank Allah for what he has given us. 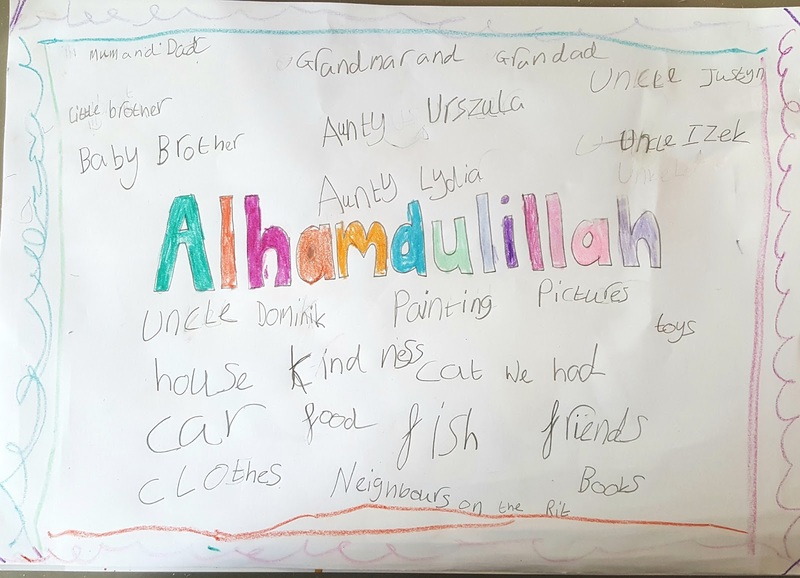 I asked the children what they were thankful for and D made this wonderful poster about all the things she is thankful for. To finish off our celebrations, we played some nasheeds, Islamic songs, and the children had fun singing and dancing. We had so much fun celebrating Laylat al-Qadr and I will leave the tent up for the next few days so we can celebrate again if the children would like. I think this will become a Ramadan tradition for us, a tradition that will continue for years to come! 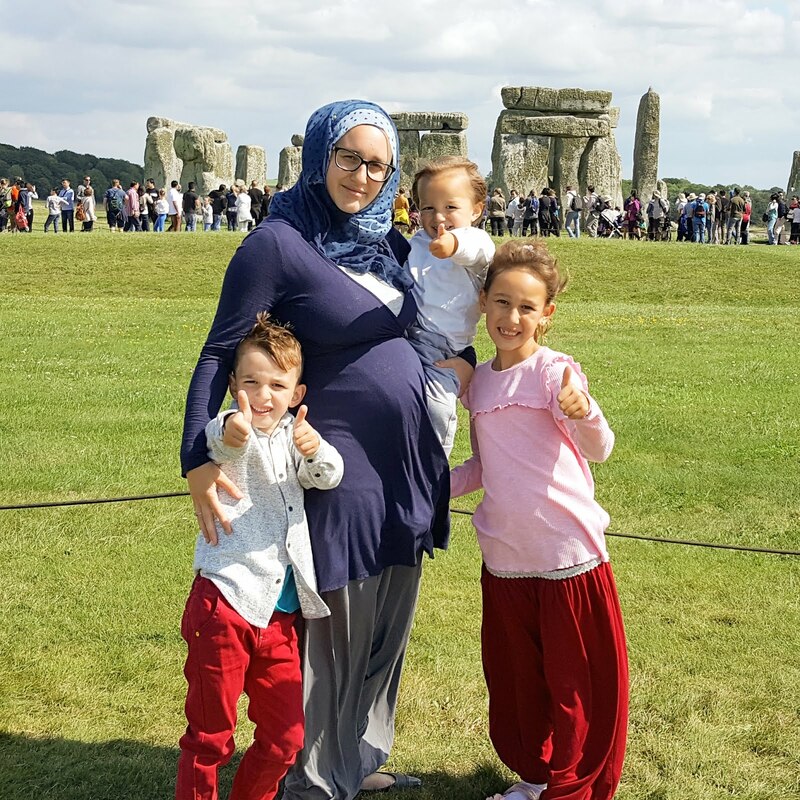 Have you ever celebrated Laylat al-Qadr with your children? Thank you so much for sharing. Another page I will file under motherhood. The activities are really enjoyable and educational. May Allah grant us children that will cool our eyes. Ameen. Glad you enjoyed the post. You could even try it this year. We still have a few days left! This was such a fun creative way to celebrate laylatul Qadr. In Sha Allah i will try something similar when I have kids. May Allah accept our duas and good deeds and forgive our sins. Aameen! Thank you Rat. I will be sure to check out your article inshallah. I didn't know anything about this, so I found this a very interesting read, thank you. Glad you found it interesting. Hope it gave you a good insight into what Laylat al-Qadr is about. Ok, so for so many reasons this is a blog that I am following, MashaAllah! One of them is the look of concentration on the face of your little one, which looks very much like that of my little "Aslan". Oh, yes, a Turkish name, and that is one of the many other reasons I am following this blog: the "Turkish" smell around :-) I am not Turkish, but a Circassian, however, my family have roots in Turkey. My father has recently obtained Turkish citizenship, and inshaAllah we will follow. A nice, well accomplished, revert mother who is trying her best to raise balanced children is the main reason that makes me want to follow. Thank you so much Mama of Leo and thank you for following. I hope you enjoy my posts. I'm going to take a look at your blog now. This has to be the most creative thing I have seen done for Ramadan for kids MashAllah. Bless you for sharing! I will deidnitely save this for the future for when my kids are older. Really love everything you did mA! Thank you so much sis. You are right, it is so important to learn about other cultures and religions. Hopefully it will promote more tolerance and peace in the world. 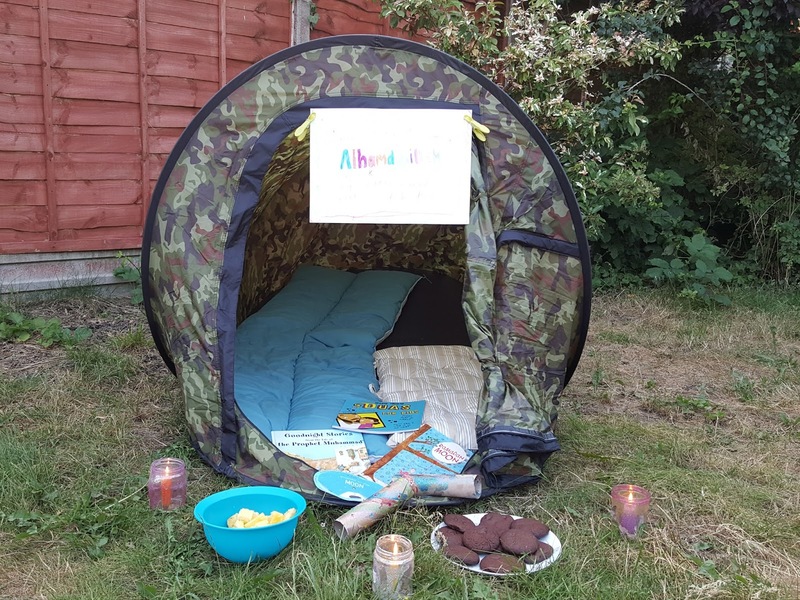 What a lovely way to learn the traditions and religious significance of Laylat-al-qadr. 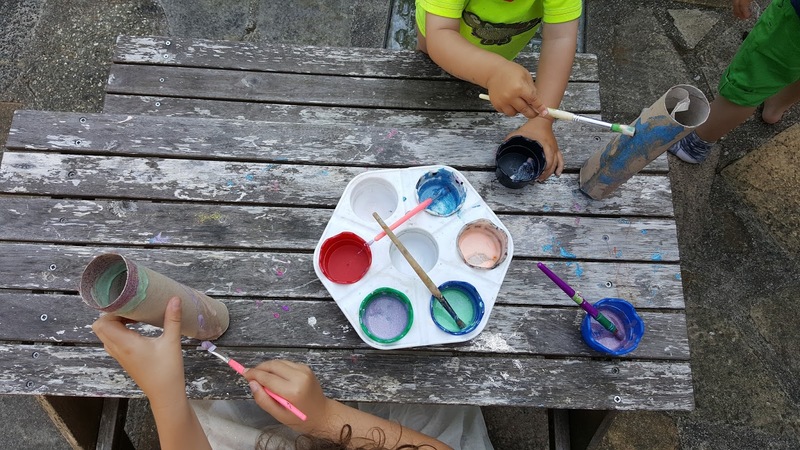 Just listening to a book or teaching is never quite the same as engaging in crafts and activities. I love how you have put your day together, I'm sure the children adored their painting and creating. Some lovely photos, what a shame they fell asleep before their moon search was complete. Still I'm sure they will remember everything they have learned and want to do some more activities next year. Yes can't wait to do it all over again next year!